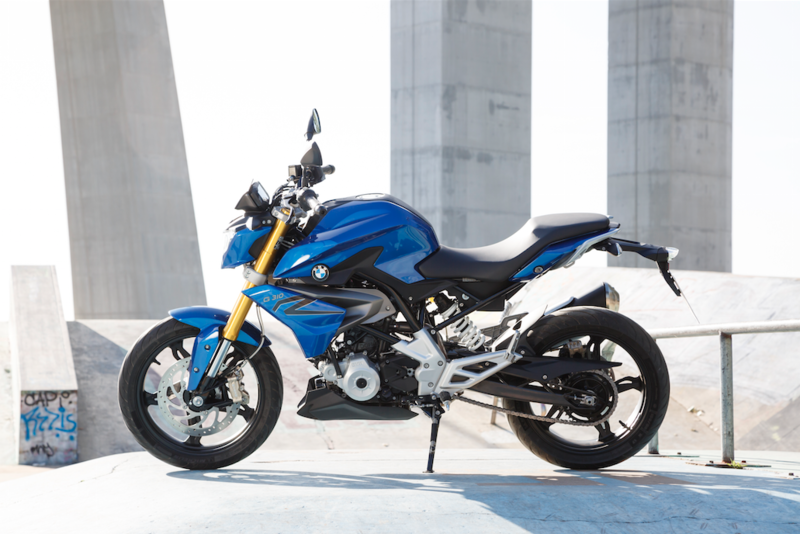 BMW downsizes with G 310 R.
Hailed by BMW as their first roadster under 500cc, the G 310 R has just been unveiled in Munich. 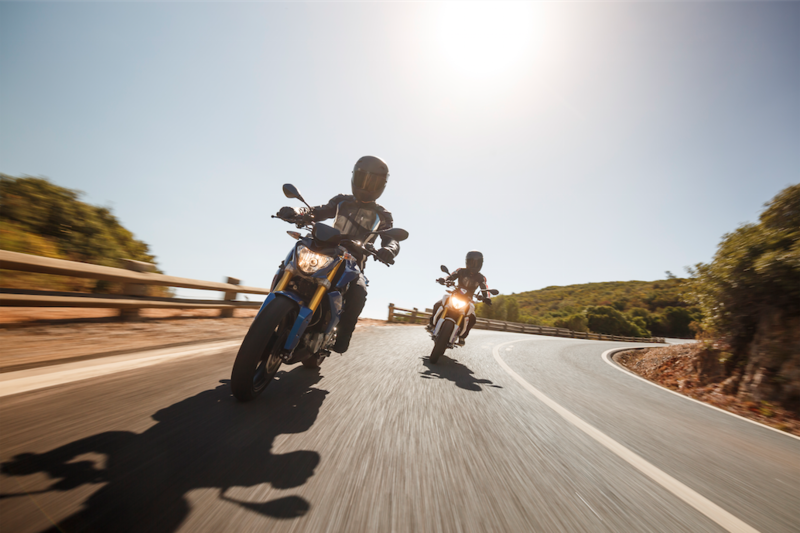 Designed to meet the demands of emerging markets, as well as those already established, the 310 could prove to be just as popular with new riders in the UK as it is mass markets in India and East Asia. The design is strictly BMW, but manufacturing will be in India thanks to a partnership with the TVS group. The third largest volume producer in India, TVS currently have the capability to produce around 2.5 million vehicles a year. TVS Motor Company’s quality management system has been based on Japanese role models for many years. 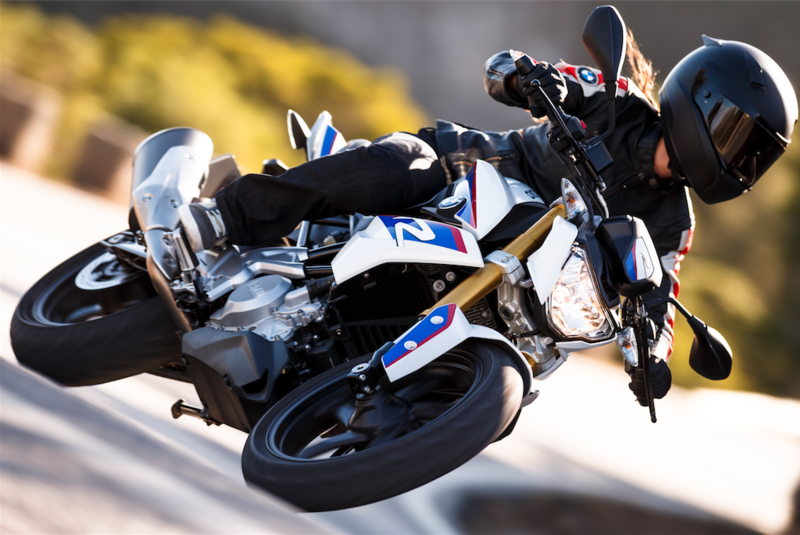 For the G 310 R, this system was extended to include the requirements and standards specific to BMW Motorrad. A dedicated production area has been set aside in the factory for production of the G 310 R. Mechanical production of the engine components is carried out on new, high-quality machine tools made by leading German manufacturers. BMW Motorrad was closely involved in an advisory capacity here and production is set up based on the model of the BMW Motorrad plant in Berlin-Spandau. The engine assembly line is completely new and fitted with automation and testing technology for every stage of the process. All the relevant work stages are monitored and automatically recorded with regard to size accuracy, tolerances and bolt-fitting values. Assembly is carried out in a completely sealed, glazed area which can only be accessed via air locks so as to prevent any dirt from entering. At the end of the engine assembly line, each engine is put through a test bench run where all relevant parameters are measured including output. BMW Motorrad standards and includes electronic functional testing as well as a final run on the roller test bench for every motorcycle. The roller test bench is also completely new and set up according to Berlin standards.